Entrants in our short film competition had 60 seconds to convince people of the need to protect Kosciuszko National Park from feral horses. Up for grabs were cash prizes of $3000 and $2000 for the best and most convincing films or animations. A huge thank you to our sponsor the Paddy Pallin Foundation! The winners were announced April 3, 2019. The judge’s choice was decided independently by an expert in film and production. Thank you to our judge for their detailed analysis and comments. Brett’s piece achieved a very rare thing – he used just the right proportions of humour and honesty to offer up a very clear message about the need to protect Kosciuszko National Park from feral horses. If only Australia’s politicians could learn from his example! He was brave to use such arresting images of horses – in all their majesty – en route to convincing his audience that Kosciuszko National Park is no place for hard-hoofed mammals. Lovely, original work, voiced by a corroboree frog no less! The strong imagery and smart, clear, simple messaging works so well to convince an audience that horses cannot be accommodated within the delicate ecosystems of Kosciusko National Park. The images and words convey the delicate beauty of this unique landscape, production values are very high, pacing is excellent and the music adds energy without being intrusive. So great to see a young horse lover entering this debate and adding her own very well explained rationale as to why horses – for all their loveliness – cannot be allowed to roam free and breed as they are in Kosciuszko National Park. We learn that it’s not just destructive, but inhumane, cementing the author as a pragmatist who not only wants to see this landscape restored, but equally defends against the suffering of horses as they struggle to survive the park’s harsh winters. The People’s choice award was decided based on video reactions and comments on the Reclaim Kosci Facebook page. Brett’s piece was a clear favourite both with the judge and the voting public. In just 60 seconds he managed to turn the audience’s mind on this issue through clear, concise, no-nonesense logic, and perhaps most importantly, the injection of a very healthy dose of humour. Humour is gold in a hard campaign like this and Brett got the dose right. This entry tells the horses’ side of the story when it comes to living in the Australian bush. The food is bad, they are neglected and they know the impact they are having on the natural environment. 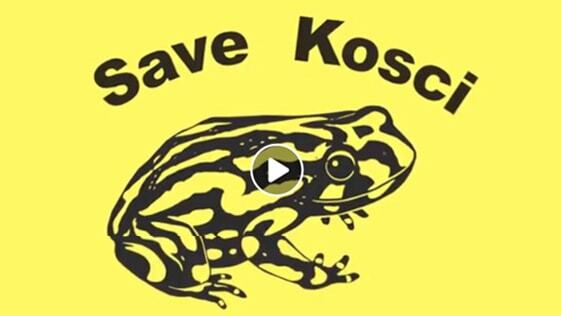 All of the entries in our video competition were exceptional and demonstrate a strong love of the natural values of Kosciuszko National Park. We would like to thank everyone who took part in this competition. Our Sacred Headwaters: A story about water, alpine wetlands and the birthplace of our major rivers. Giant living sponges of water – life. Destroyed under feral horse hooves. The two sides of the Snowy Mountains – the natural beauty and the introduced destruction. Kosciuszko National Park is mainland Australia’s most significant alpine and sub-alpine conservation area. Kosciuszko is unique, spectacular and environmentally significant. Taken on a walk in February 2019 on the Bundian Way from Targungal (Kosciuszko) to Moyungal (Pinch Flat on the Barry Way). 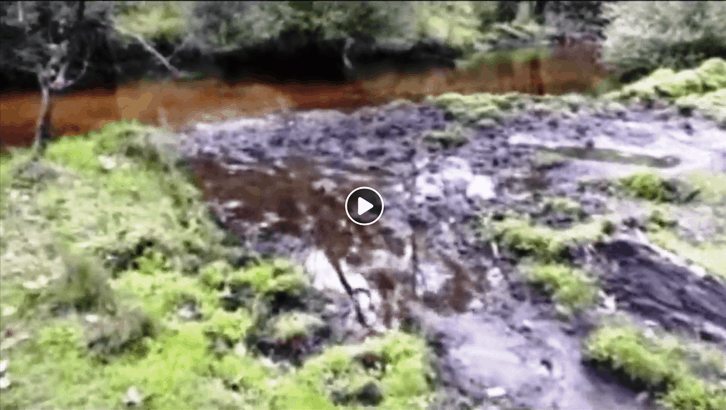 Rough and shaky, this brief pan shot illustrates the effect of horses on part of the Ingeegoodbee River, one of many rivers being harmed by feral horses. No Place for a Brumby puts hard hooves and over-grazing into perspective. It’s time to face the truth, Kosciuszko is no place for feral horses. David captures the beauty of Kosciuszko National Park while making a clear call to stop feral horses damaging our native ecosystems. Feral horses are destroying the habitat of endangered animals and ecosystems in Kosciuszko National Park. Permission required from owners to reuse these, but sharing is encouraged.